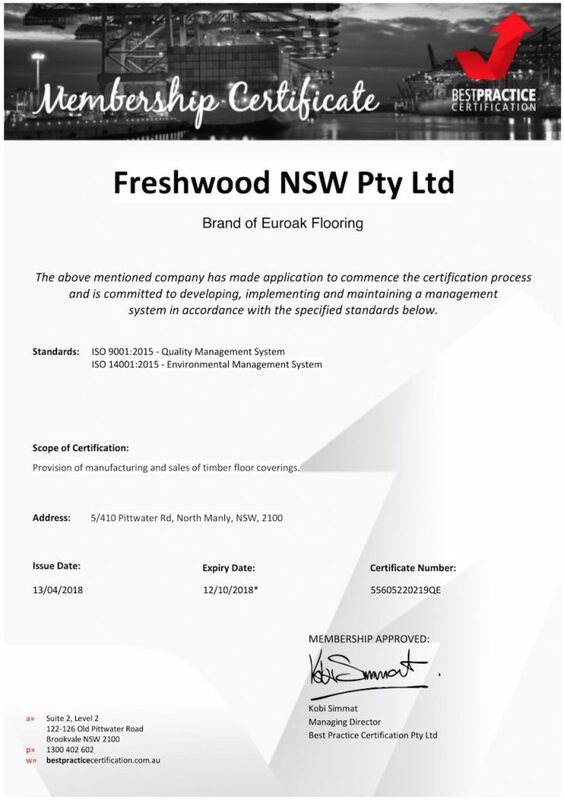 Euroak flooring® committed and comply with ISO14001 is an internationally agreed standard that sets out the requirements for an environmental management system. It helps us improve our environmental performance through more efficient use of resources and reduction of waste, gaining a competitive advantage and the trust of stakeholders. An environmental management system helps organizations identify, manage, monitor and control their environmental issues in a holistic manner. Like other ISO1401 management systems, it uses a High-Level Structure. This means it can be integrated easily into any existing ISO1401 management system. It also includes the need for continual improvement of an organization’s systems and approach to environmental concerns. It requires that an organization considers all environmental issues relevant to its operations, such as air pollution, water and sewage issues, waste management, soil contamination, climate change mitigation and adaptation, and resource use and efficiency.